SNAFU! 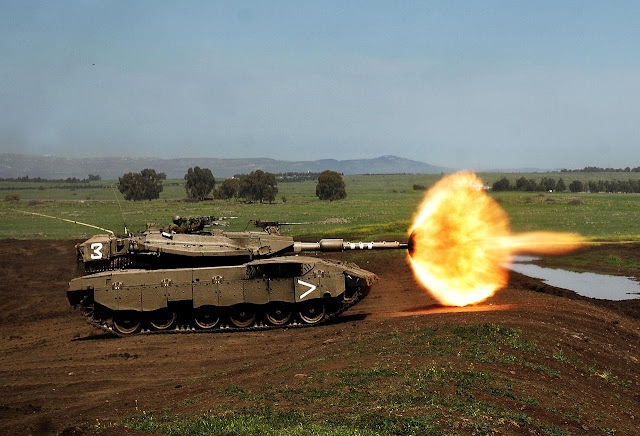 : Israeli Defense Force NOT COMBAT READY!!! Israeli Defense Force NOT COMBAT READY!!! Brick has over the past year repeatedly sounded the alarm that the IDF is not prepared for a major conflict, leading some analysts to proffer this as a potential reason for Jerusalem’s recent decision to a agree to an unpopular cease-fire with Hamas in lieu of striking harder at the Gaza Strip’s terrorist rulers. One of Brick’s most significant claims is that officials falsified assessments of the quality of tanks and armored personnel carriers. He also has warned of “serious consequences” of discharging thousands of career soldiers. While the IDF has rejected the basic premise that it is unprepared for conflict, Chief of Staff Gadi Eisenkot appointed a committee in September to investigate the allegations. “Brick has focused mostly on one very specific issue, which is how equipment and weaponry is organized and maintained during peace-time until reserves are called up,” Brig. Gen. Hanan Gefen, former chief of the elite Israeli Intelligence Corps Unit 8200, explained to The Media Line. “Brick contends that the [emergency storage units] are under-staffed, which the military does not believe is a big problem. Wait there's more! via Times of Israel. Former defense minister Avigdor Liberman on Thursday continued his broadside against Prime Minister Benjamin Netanyahu’s security policy, telling a conference that the government was “buying short-term” quiet in Gaza and harming long-term security, as Hamas gradually bolsters its military power. Liberman, who resigned from the Defense Ministry a week ago, ostensibly to protest a ceasefire agreement with Gaza’s Hamas after a major flareup in violence, also waded into an increasingly public squabble over the Israel Defense Forces’ combat readiness. If the IDF isn't combat ready then they have bigger problems than I thought. The ongoing counterinsurgency they've been dealing with has sapped their forces too.